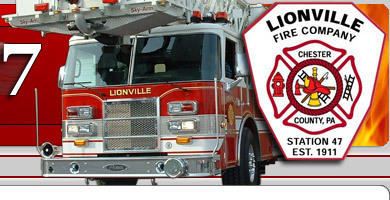 Join us at the Lionville Fire Company, Labor Day Sunday for a fun filled day of festivities and food. Please support our event and become a sponsor. 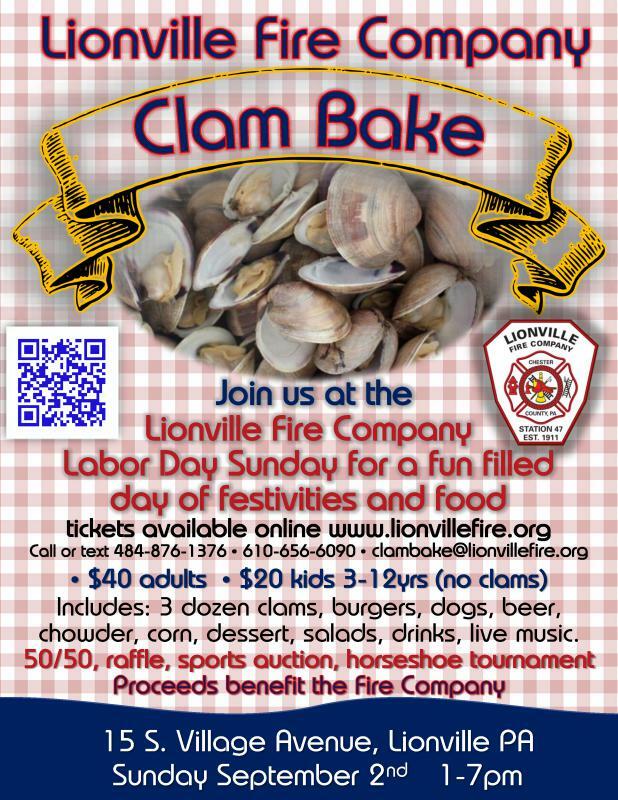 $40 gets you 3 Dozen Clams, All you can eat corn on the cob, hamburgers, hot dogs, deli salads, Fred's Homemade Clam Chowder, Drinks - including beer. $20 kids tickets do not include clams or beer (for kids 3-12). 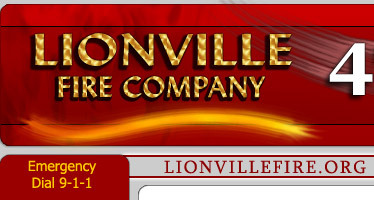 Activities include Live Entertainment, a Horseshoe Tournament, Sports Auction, and many raffles.